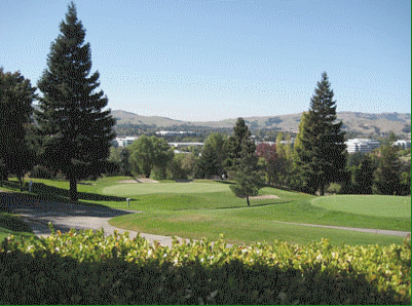 Dublin Ranch Golf Club, is a Public, 18 hole golf course located in Dublin, California. 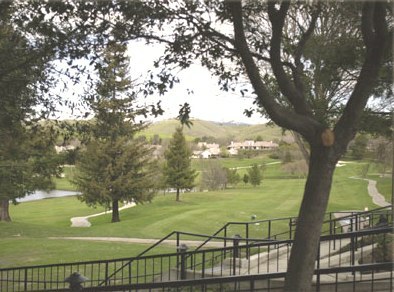 Dublin Ranch Golf Course facility first opened for play in 2004. 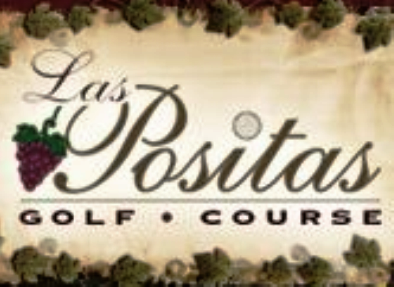 The course was designed by Robert Trent Jones Jr. and Donald Knott. Par for the course is 63. From the back tees the course plays to 4,820 yards. From the forward tees the course measures 3,412 yards. The longest hole on the course is # 5, a par-5 that plays to 549 yards. 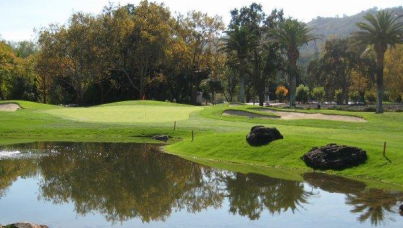 The shortest hole on the course is # 13, a par-3 that plays to 143 yards from the back tees. Watch out for # 5, the 549 yard par-5 challenge is the #1 handicap hole on the course. The easiest hole at Dublin Ranch Golf Club is # 13, the 143 yard par-3. This Robert Trent Jones Jr. par 63 layout boasts eleven unique par 3's, five solid par 4's and two demanding par 5's. Skilled club selection is critical, with most players hitting every club in their bag during their round. 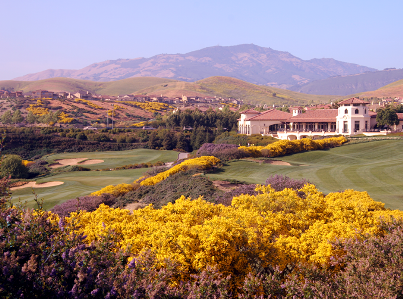 Rolling hills and valleys amidst a master planned community offer panoramic views of the Livermore Valley and Mt. Diablo from every hole on the course. Typically smooth and fast greens, are the norm. The course's efficient and imaginative design will typically see you through your round in less than four hours. Par 63 would seem a dinky course, but, the course is really a challenge. Par 3,s are all difficult with very large breaking greens. Nice enough course for the price. 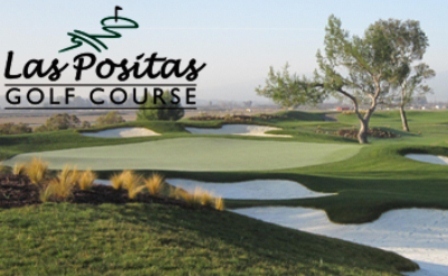 The best watered course in the Tri Valley ! The greens are awesome, they roll so true and are fast. The best greens in the area. 11 par 3's, 63 overall make for a great little venue for a change of pace. Dublin Ranch drains well and is always in good or better shape. 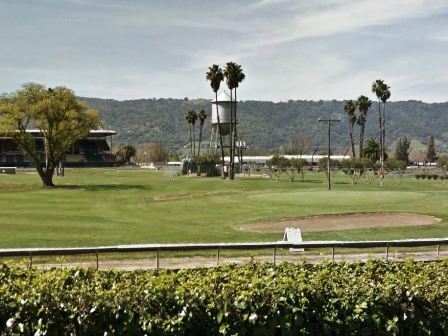 There is a lot of elevation change, especially for such a short track, and there are no duplicate holes. Almost all holes have something of interest. 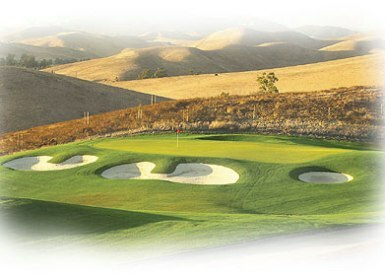 Play it if you want a break from the standard par 72 courses, but it probably isn't the primary "home" course for many. I play off a low-20s index and found the numerous par-3s that stretched between 170-220 yards to be taxing. Suggest anyone in the bogey-per-hole type of index range should play off teh whites. Next time I will. For a par-64 course, it's awesome. 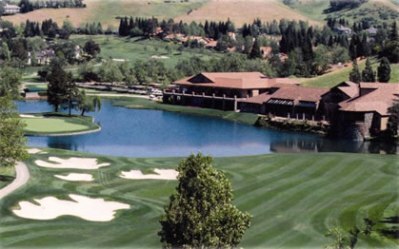 If they had made this a par-72, it would be right up there with Wente Vineyards as the best in the area. Not sure what the thinking was on keeping it short. Pace of play is great. It normally only takes me three hours to play here.